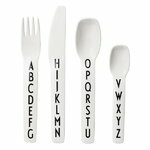 The Design Letters kids melamine cutlery set consists of a fork, a knife and two spoons. 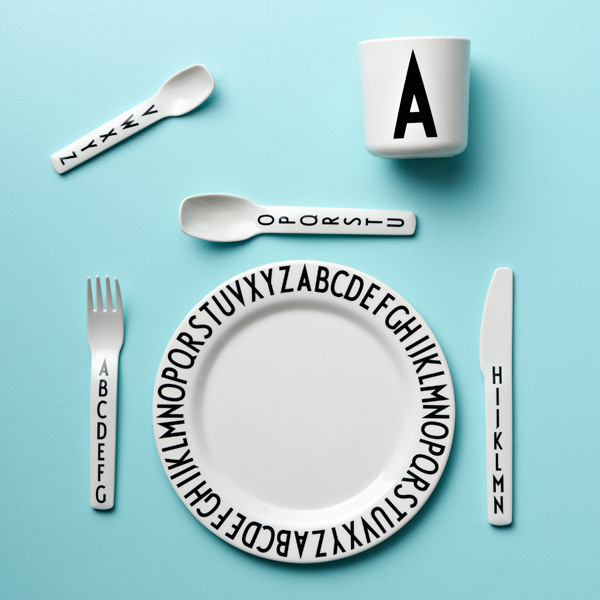 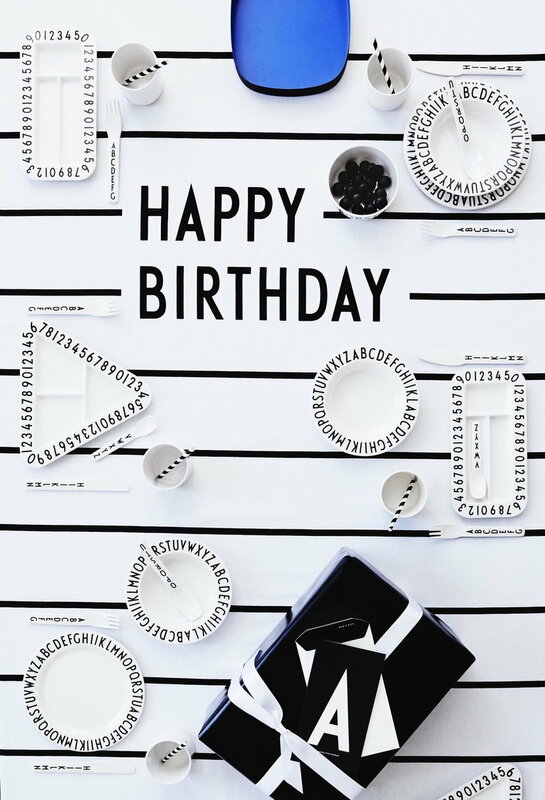 The letters on the cutlery are designed by Arne Jacobsen. 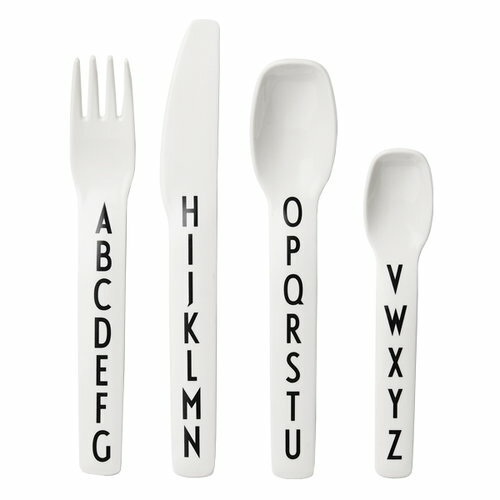 The designer of the cutlery set, Tobias Jacobsen, is Arne Jacobsen’s grandson.